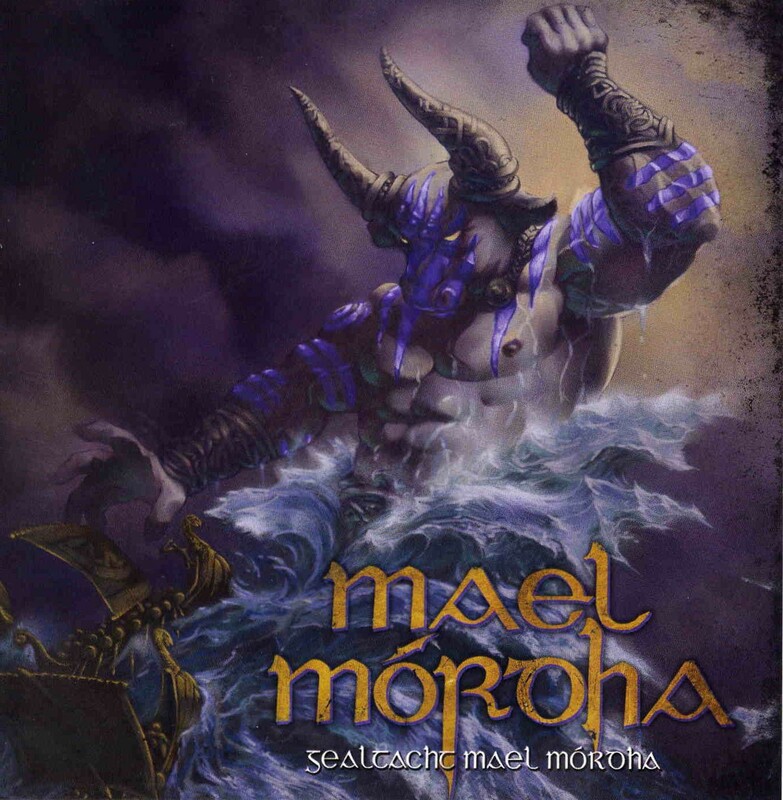 Mael Mórdha is an Irish quintet that plays Gaelic Doom Metal. This means that they combine heavy/doom/death metal with Gaelic folk music, and I must say I like the end result. Gealtacht Mael Mórdha is the band’s second full-length, and has seven tracks on it. “Altas of Sorrow” begins quietly with some sounds of sea and traditional flute, but before two minutes have passed the quite slow and heavy stuff begins. There’s also some beautiful piano in there, and the melancholic vocals soon join in. This is really strong, desolate and glorious stuff. Before the seven-minute-marker the track gets faster and even a bit progressive. The end has acoustic guitar and flute. “Godless Commune of Sodom” is more traditional doom with some great Cloven Hoof –styled NWOBHM influences thrown in. “A Window of Madness” is a rather slow, melancholic stuff with double bass drums and powerful, heroic vocals. This one also has some piano and sounds a bit like Cloven Hoof towards the end. With the heavy “Curse of the Bard” the band gets closer to death metal. “The Struggle Eternal” is a slow, heavy and gloomy number, but also has some more melodic, mellow stuff in it. The vocals are at one point pretty much like screaming. The title track starts off with some acoustic guitar and piano and is a sad, beautiful number that gets heavier and features some bells. The album finishes with the bit shorter “Minions of Manannan” that has again just some waves of a sea in the end. This is a great album and warmly recommended if you like your doom metal with stories of the great warrior kings of the past. I especially enjoyed the Gaelic influences that give this band a unique, personal touch.